The base of the tag was created from some packaging which I covered with Dapper Imprint. 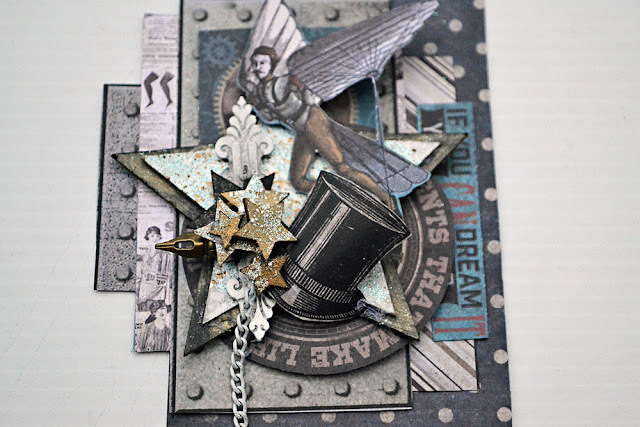 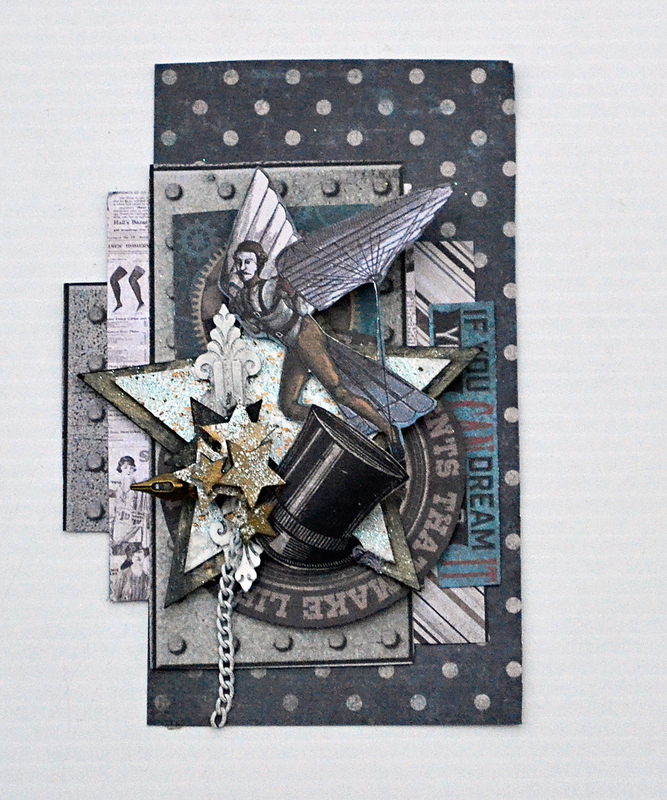 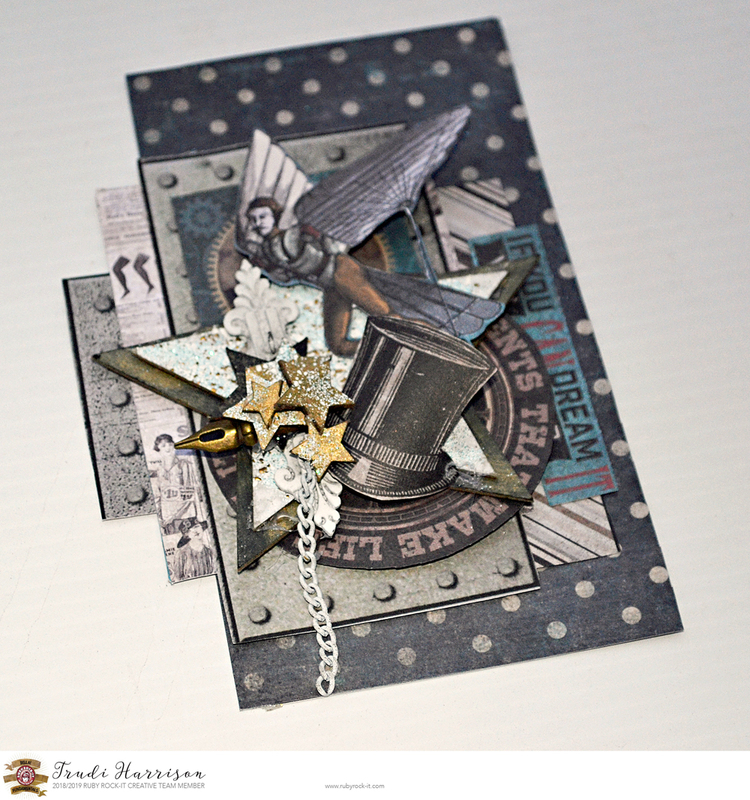 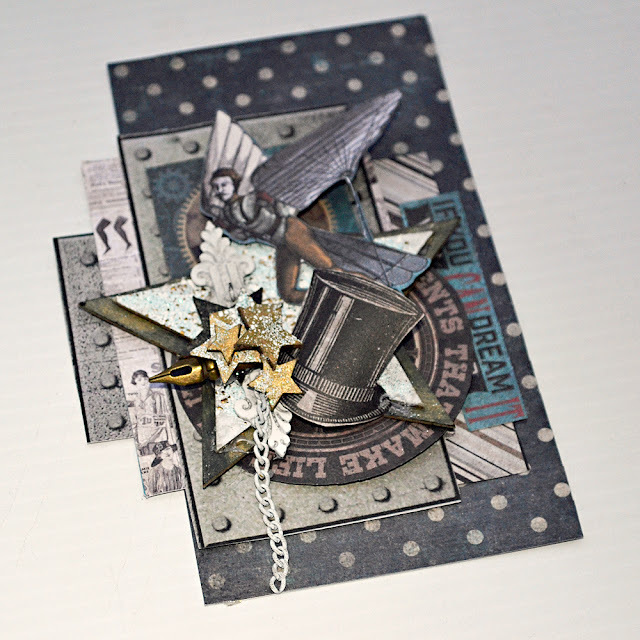 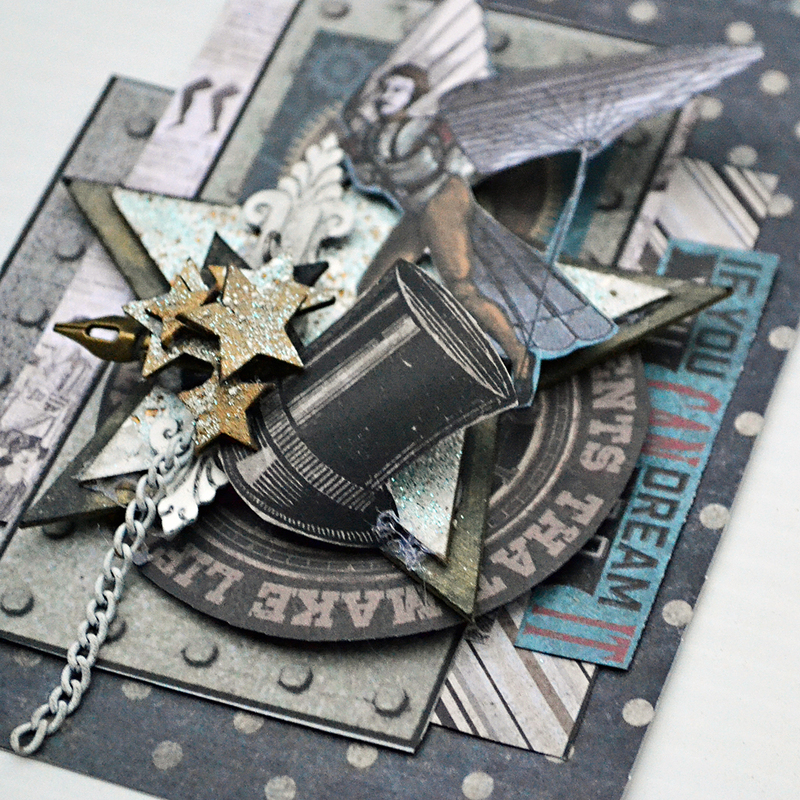 For embellishing, I worked with both sides from Steamworks Odds & Ends. 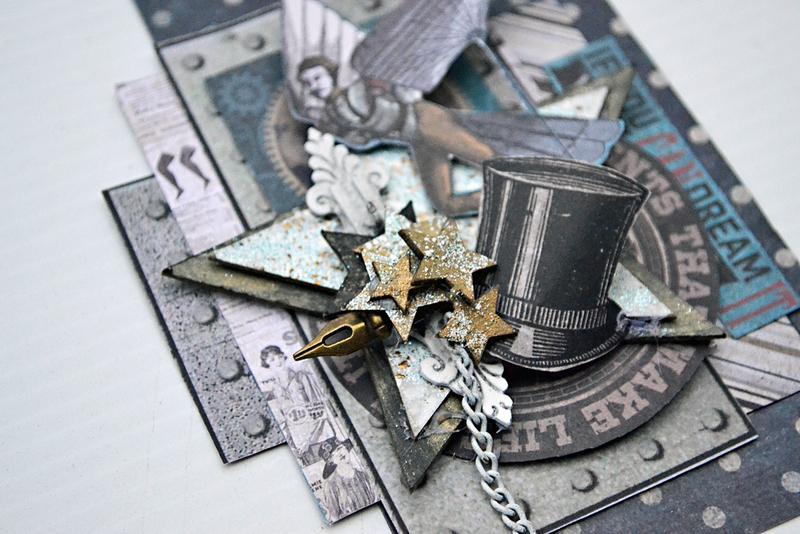 Rolling the top hat element creates a nice curved effect.